Tom Baker’s first season as the Doctor comes to a close this week with this four-part tale written by Gerry Davis that aired from 19 April to 10 May, 1975. 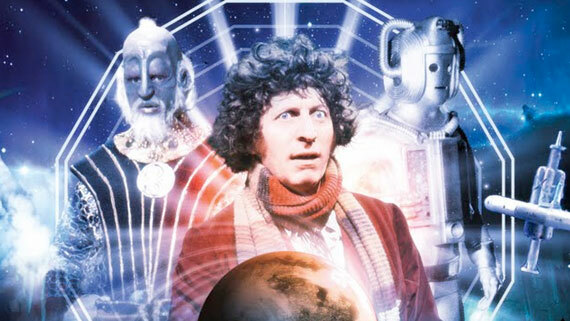 It sees the return of the Doctor’s other most famous enemy, the Cybermen (and also marks their last appearance in the series (barring flashbacks) until 1982!). 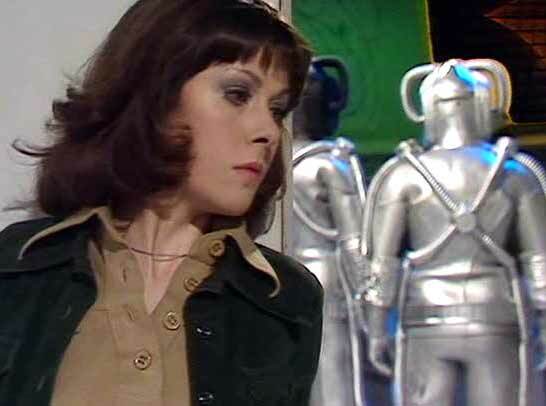 The Doctor, Sarah-Jane (Elisabeth Sladen) and Harry (Ian Marter) are travelling via the transmat back to the Ark, where they plan to await the arrival of the TARDIS. The spatial coordinates may be the same, but the temporal ones aren’t. They return to the Ark much later than their previous visit, and while they know the TARDIS will arrive, they are shocked to see a number of the station’s inhabitants are dead, littering the hallways of the station. It is under quarantine, there are rumors of a virus, but the viewers are privy to the knowledge that cybermats are prowling the corridors. The Doctor quickly deduces that it’s not a virus, and realizes that the Cybermen are close by, and he’s also discovered that someone on the crew. Kellman (Jeremy Wilkin) is feeding information to the metal fiends, leading them to the station. But there are plans within plans, and through them we discover an alien race living on a moon known as Voga, and is very wealthy in terms of gold, one of the most dangerous substances known to Cybermen. Sarah and Harry find themselves on Voga after the Doctor uses a transmat to purify Sarah after she’s been poisoned by a cybermat bite. But while there, they are captured by the Vogans who may have their own plan for the Ark. Things aren’t going to be too simple though, as there are politics at work in the Vogan society, and there are intrigues aplenty even as they prepare to confront the Cybermen. Kellman led the Cybermen to the Ark, to put them all in one place, while the Vogans with their super-weapon, employing lots of gold, is launched at the Ark, in an attempt to wipe out the Cybermen! But things aren’t going to go smoothly for our heroes, and even if these Cybermen are destroyed, you just know that there will be more of them out there… somewhere. This shows the introduction of a CyberLeader (he has a black helmet) and the pretty dangerous upgrade of the Cybermat. All in all, I’d call this season a pretty succesful one for a new regeneration. Baker made the role his own very quickly, and proved pretty quickly to be a favorite. Next week, his adventures continue with the beginning of the show’s 13th season, and the Terror of the Zygons!